Native of Montauban, Anaïs Constans approached the singing with Béatrice Viliare.. She was awarded with a diploma by the CRR of Toulouse (Class of Jacques Schwarz), and in musicology in June, 2011. Since September 2011, she has been a trainee in the CNIPAL. She perfects her singing with Claudine Ducret, Jean Marc Bouget and Nino Pavlenichvili. 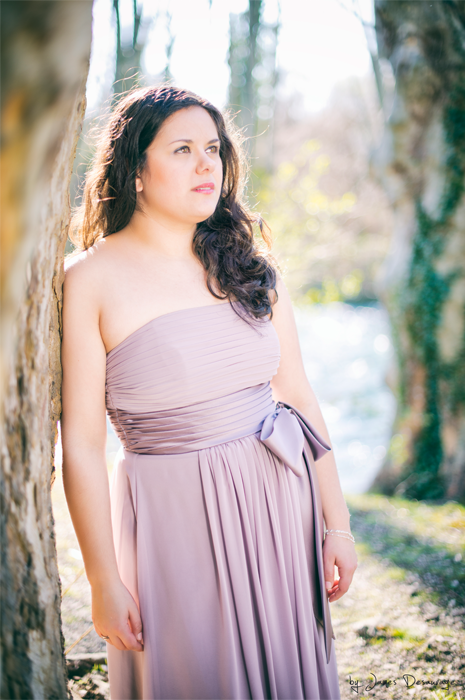 In 2012, she sees her talents rewarded by winning the 1st Prize French Melody and 2nd Prize Opera in the International Competition of Marmande and the 3rd women’s Prize and the Public Prize of the International Competition of Toulouse. In 2013, she obtains the 1rst & New talent Prize in the International Competition of Mâcon. On stage, in operas, we can hear her in particular in Orphée aux enfers and La belle Hélène supervised by Jean-Christophe Keck, and in the Opera of Marseille in La chartreuse de Parmes of Sauguet under the direction Lawrence Foster and in Renée Auphan’s direction in the Opera of Saint-Etienne in Lakmé (Miss Ellen) in Saint-Etienne supervised by Laurent Campellone, La vie Parisienne (Pauline) in Toulon.